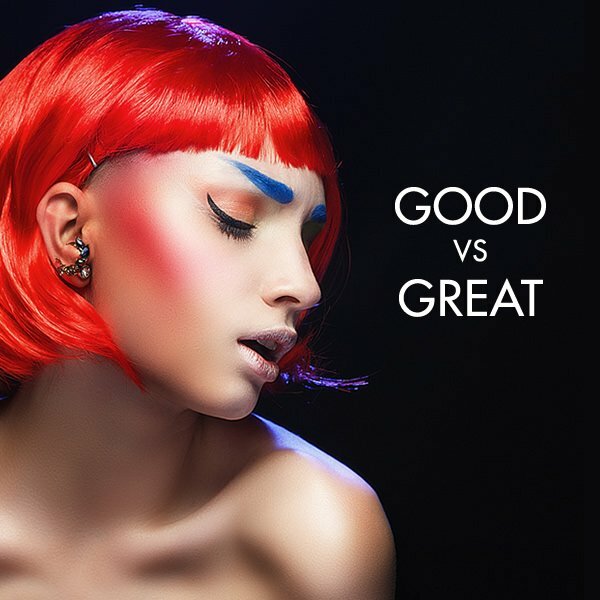 Good vs Great. 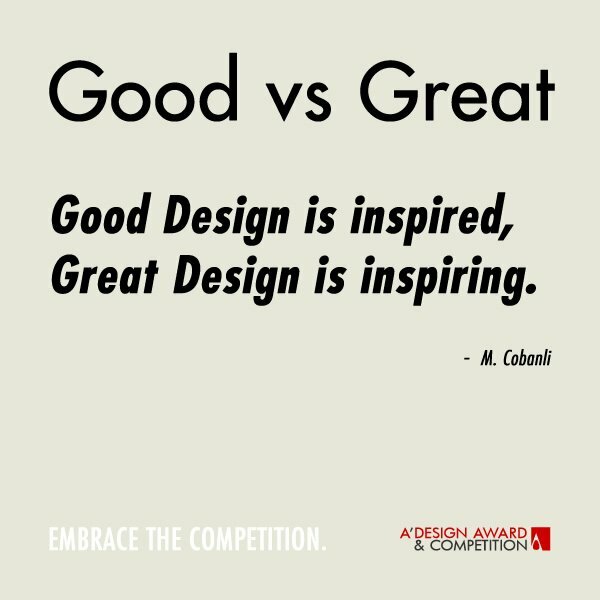 Good Design vs Great Design. 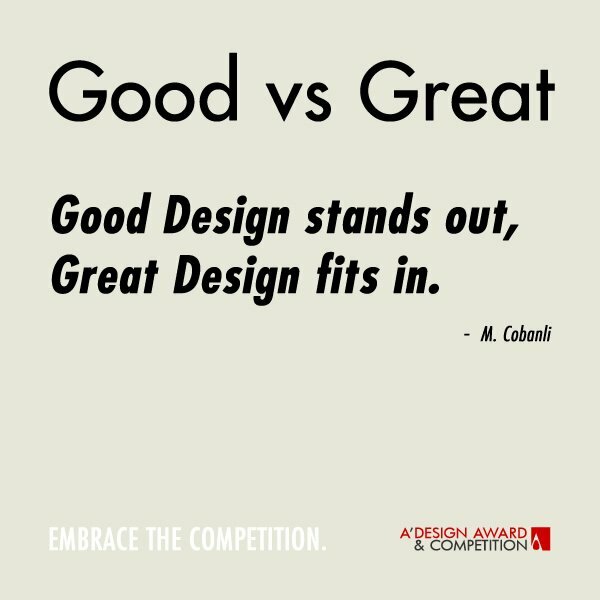 These quotes were created and send to us by the A' International Design Award as a part of their latest PR campaign. There were more, but here are our picks. Some of the greatest design quotes, carefully crafted and of course inspired by prior great quotes from masters of design, art, architecture and business. I am providing my own reflections for each quote as well as a text version below. 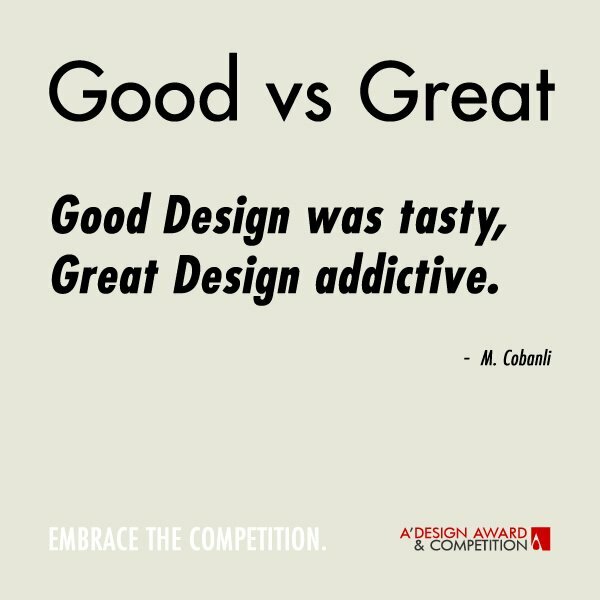 Good Design was tasty, Great Design addictive. My thoughts: You can give up tasty things but once you are addicted you cannot give them up. Great design is perhaps addictive because it is very comfortable, it feels natural. 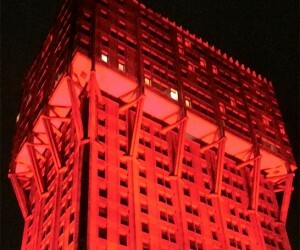 It remind me of Salvador Dali's quote: I don't do drugs. I am drugs! 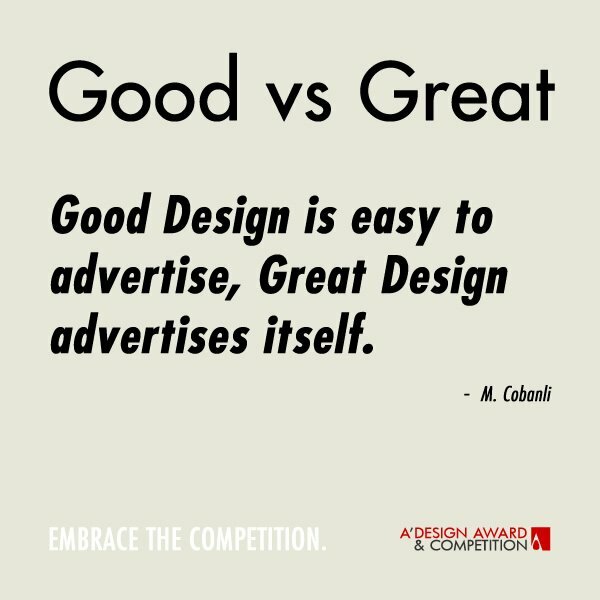 Good Design is easy to advertise, Great Design advertises itself. From a media member perspective, this is absolutely true. If it is good design we would publish it, if it is great design we would ask to publish it. People share great design, and like good design when they see one. 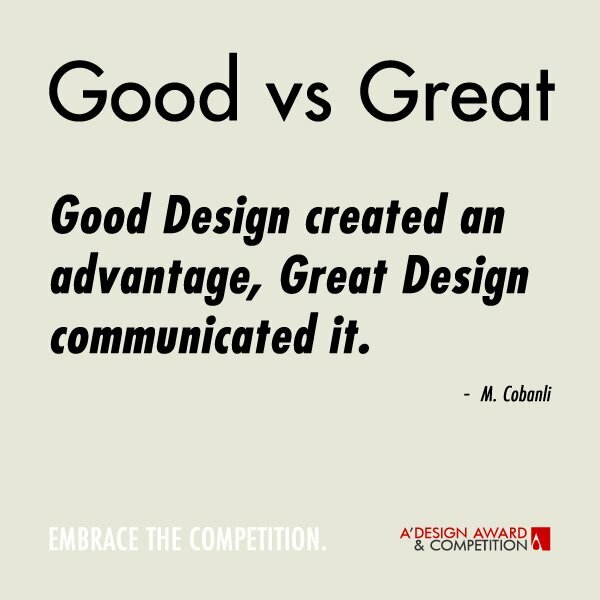 Good Design created an advantage, Great Design communicated it. This particular design quote perhaps applies more to graphic design, but actually it holds true for any kind of design, if it is self-explanatory, it just works. 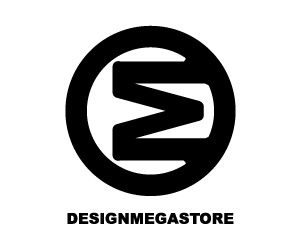 Good Design is dreamed, Great Design makes dreams come true. 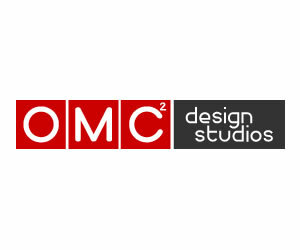 So good design are beautiful things we want to have, but great design are products or services that allows us to achieve more, to reach our potential. I like this quote. 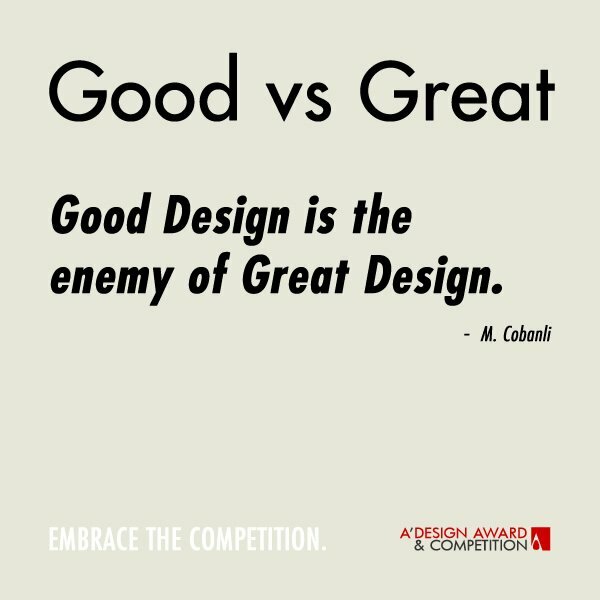 Good Design is the enemy of Great Design. Well this is Good is the enemy of Great quote transformed. But somehow I love it. For any design team, this should be a mantra hanging on the wall reminding you what to do. Good Design stands out, Great Design fits in. This is rather interesting, from what I understand, good design stands out, i.e. it is different and people recognize it, but great design is so perfectly done that you do not feel it, it fits right-in to the picture, it is natural. 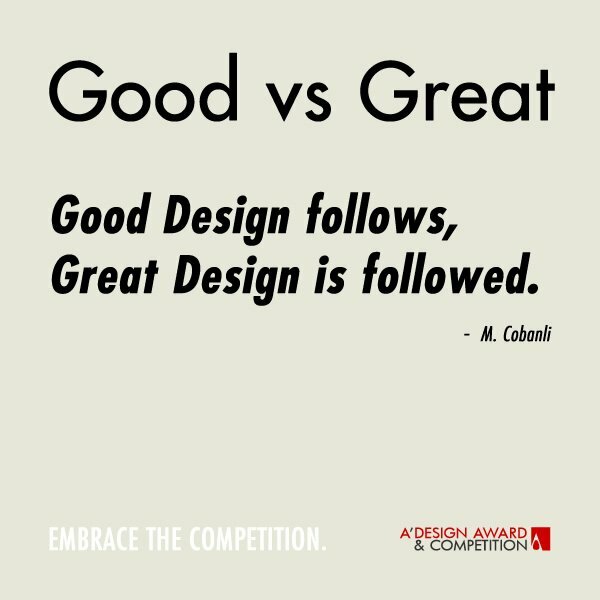 Good Design follows, Great Design is followed. I like it, it says great design is pioneer. 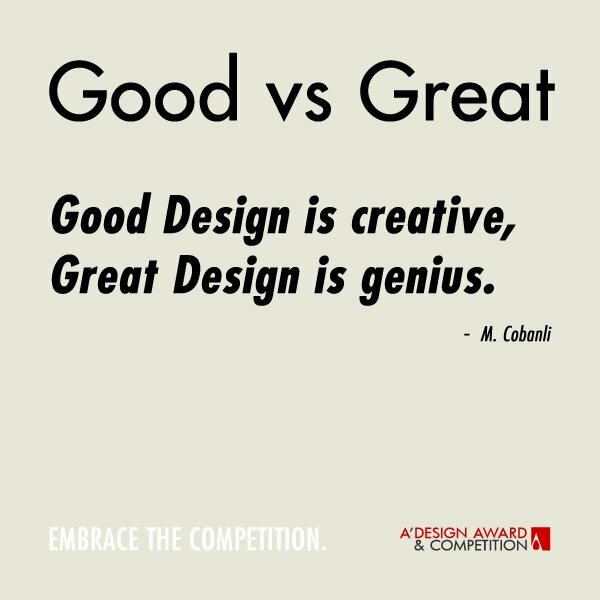 However, if I wrote this quote, I would write it as: Good Design follows, great design leads. - Frank Scott! Good Design is creative, Great Design is genius. I too agree that great design requires exceptional intellectual ability, creativity, or originality. Good Design is inspired, Great Design is inspiring. 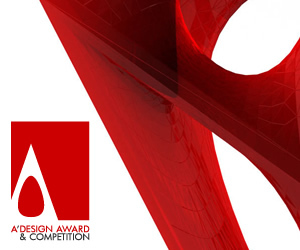 Good designs are created after inspiration, while great designs would inspire others? Works just fine. 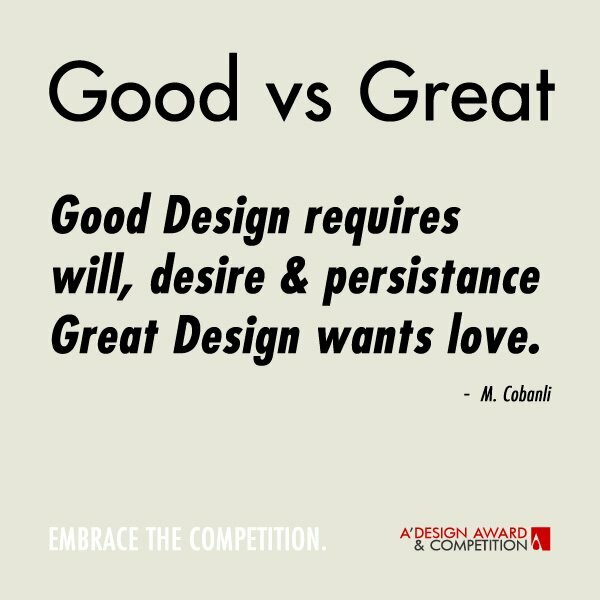 Good Design requires will, desire and persistence, Great Design wants love. You need to put the uttermost of your feelings; you need to pour your love to achieve great design. Well said. 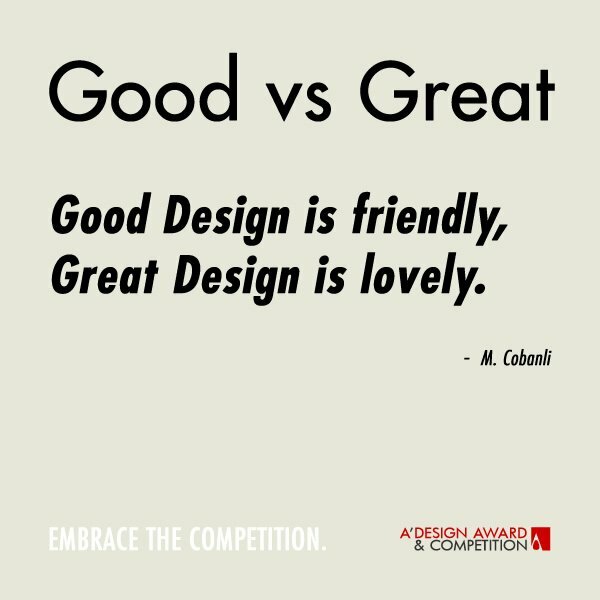 Good Design is friendly, Great Design is lovely. 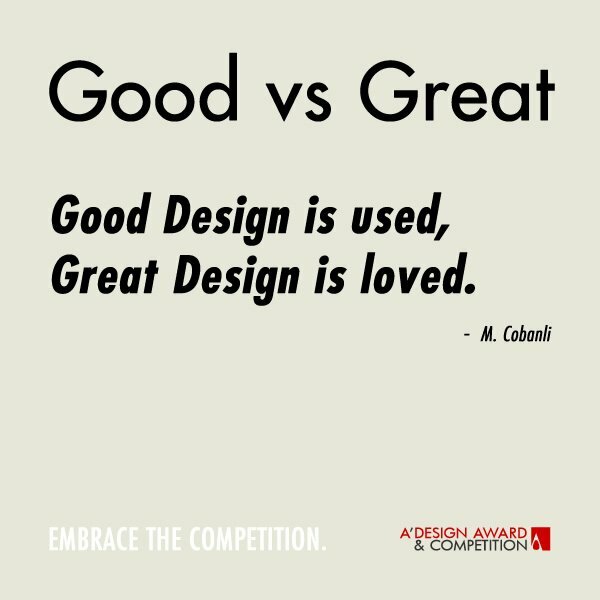 This is indeed a very happy design quote, I think it refers to the emotional connection users of great products or services form with them; great designs are loved. 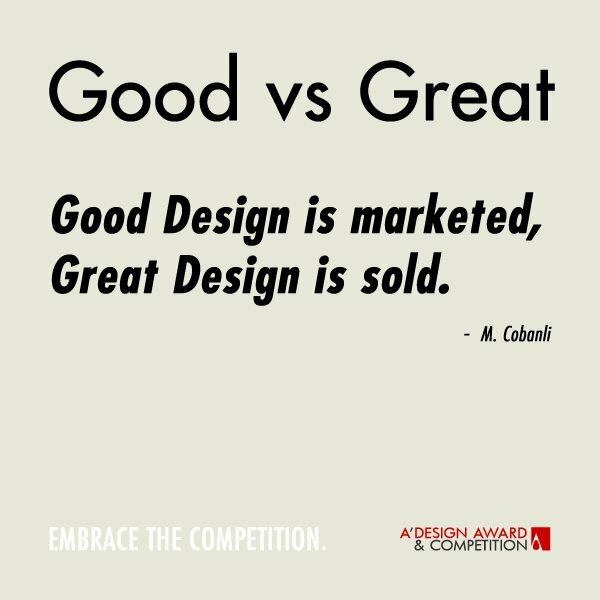 Good Design is marketed, Great Design is sold. This one is straightforward, you need to market good products, but great products will have such demand that they will be sold faster. 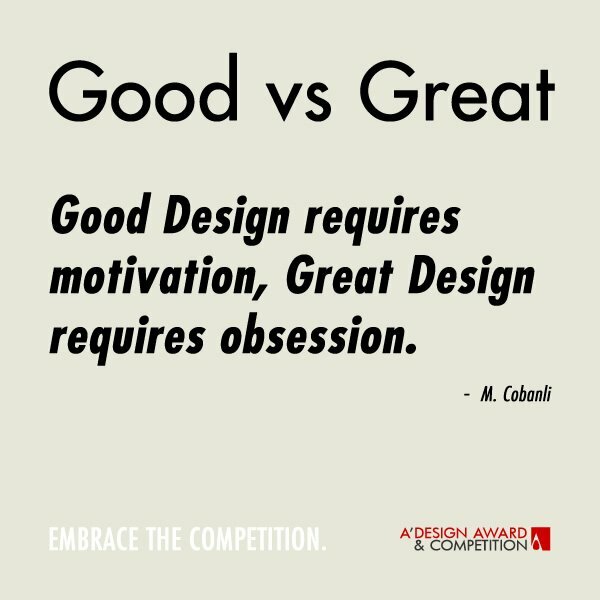 Good Design requires motivation, Great Design requires obsession. From my understanding this quote refers to the details. Great design should show an extensive attention, almost an obsession for details and the integrity as a whole. 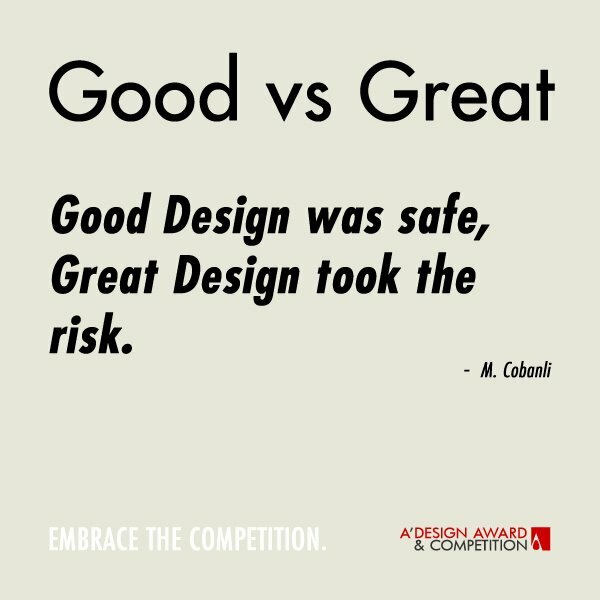 Good Design was safe, Great Design took the risk. Well, for me this design quote is golden. It is so true; without trying new things and risking it, we cannot achieve greatness. 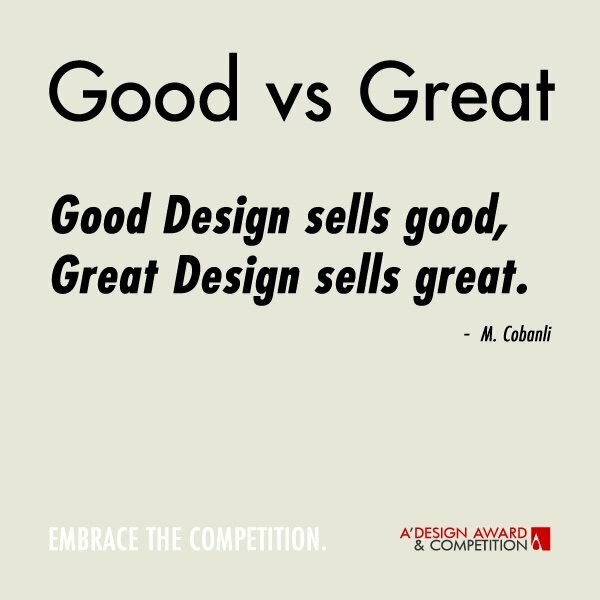 Good Design sells good, Great Design sells great. To add my reflection on this quote: the aesthetic design of a product usually does not change costs, plus good technical design could actually decrease the production costs thus it is actually cheap and very smart to have good design at the first place for your products and services. Good Design solved a problem, Great Design prevented it. This is actually my favorite design quote now. 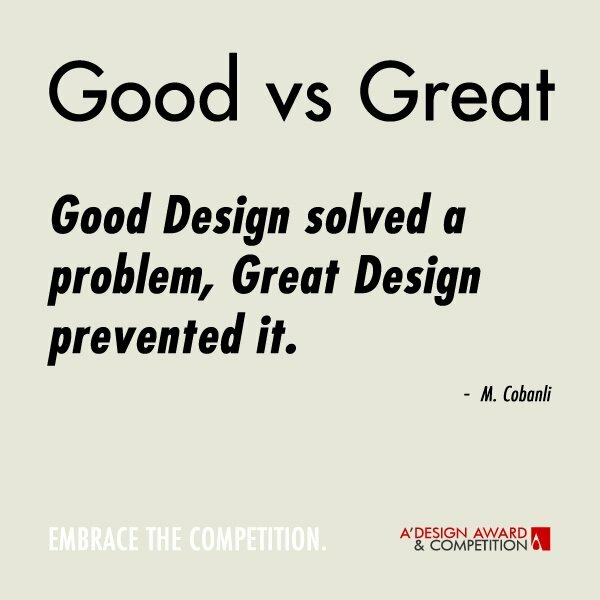 It is a really really smart quote on how any great design should be; instead of being a solution, it should prevent the cause. I think this quote communicates very good the essence of what design means. 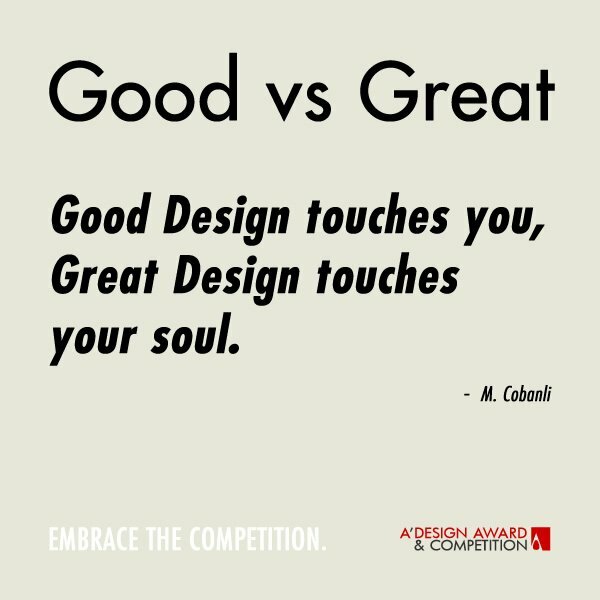 Good Design touches you, Great Design touches your soul. 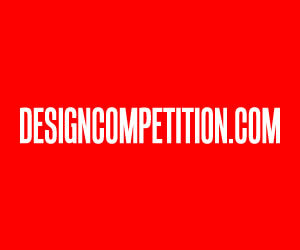 Good design moves you? 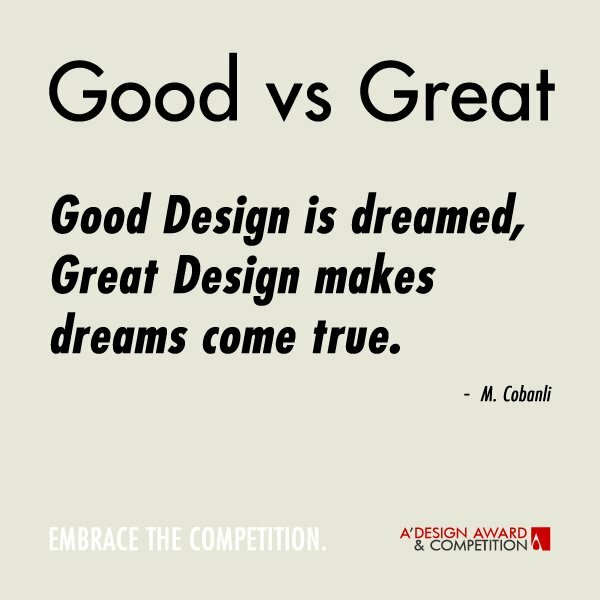 This quote also obviously refers to the emotional bonds that great products or services, great designs could achieve. 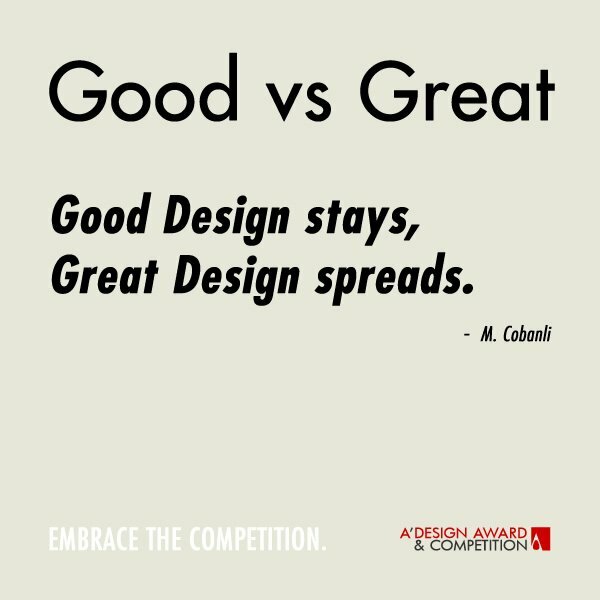 Good Design stays, Great Design spreads. I think this one refers to publicity, as well as the permanency. It says good design stays; lasts, meanwhile also giving the sense that no one talks about it; people talk about great designs. Hope I got it right! Good Design is used, Great Design is loved. Perhaps this is a fun attribution to relationships, an anthropomorphism if you may call but meanwhile it also says that good design is functional while great design is highly emotion. This article was added on Thursday, 26th of June, 2014 at 08.11 am by author Frank Scott Tags: good design quotes, great design quotes, greatest quotes on design. Read our copyright policy here.